Fleming's and Haven brought the big guns for Houstonia's inaugural gumbo smackdown. 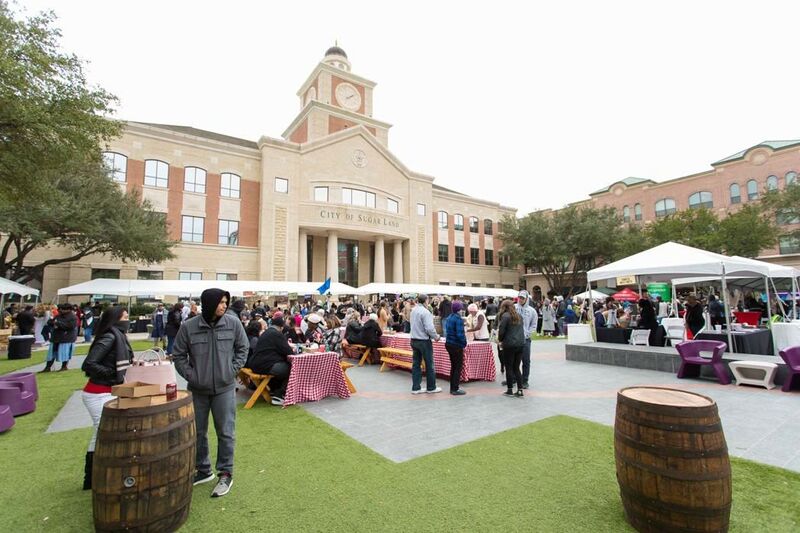 Although the Saints ultimately lost to the Seahawks this past Saturday, there were plenty of winners at Houstonia's inaugural Gumbo Smackdown and Tailgate party benefitting Child Advocates. That's because our panel of judges—including dining editor Robb Walsh, creative director and Cajun food expert Brandi Lalanne, and Down House owner Chris Cusack—simply couldn't decide between the two best gumbos of the afternoon, and ended up awarding a tie. As part of the judging panel, I'm here to tell you it was a fierce competition, with excellent entries from all five competitors. 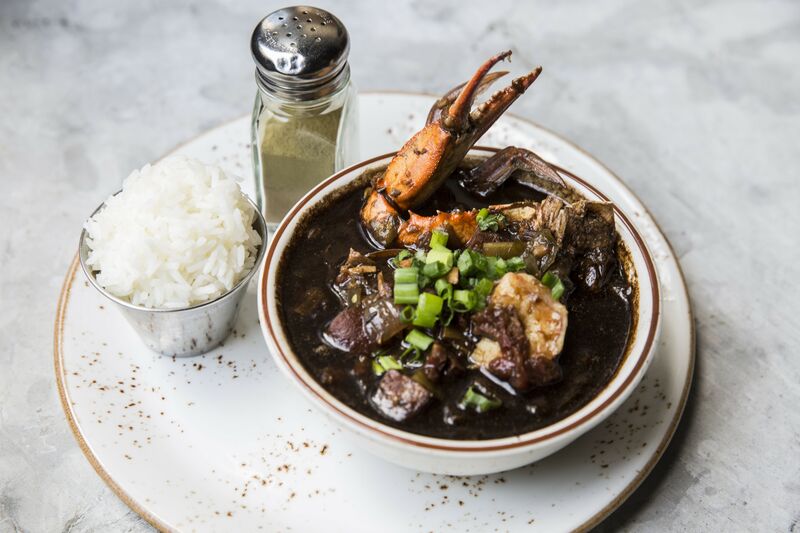 Cajun Stop chef/owner Lisa Carnley, a New Orleans native, cooked up a seafood gumbo with a pitch-perfect dark roux—all by herself, and in killer heels. The other teams brought along reinforcements: Goro & Gun chef J.D. 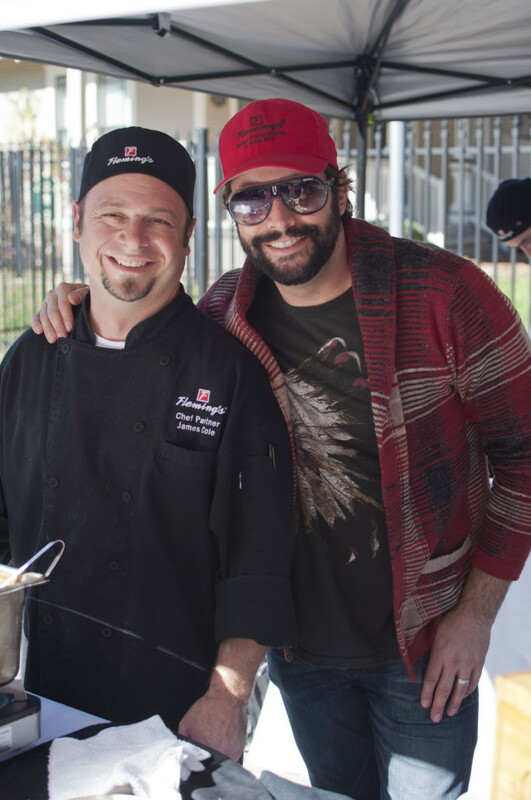 Woodward, who threw his back out while making his gumbo, brought along Goro owner Joshua Martinez as well as friend and fellow chef Mark Parmley to help out. Haven brought the big guns out: chef Randy Evans and chef de cuisine Jean-Philippe Gaston were there to assist sous chef Allen Duhon (although the Port Arthur native needed little help to make a terrific seafood gumbo). Each bowl was garnished with an entire crab claw for added effect. Liberty Kitchen threw the entire kitchen sink into its big bowl of "All-Star Gumbo," courtesy of chef Eric Laird. 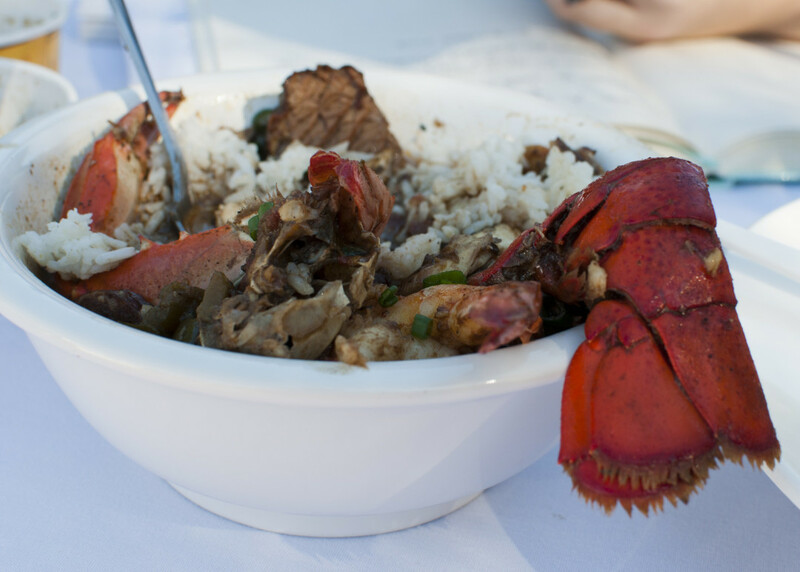 Laird noted the gumbo—garnished with an entire lobster tail, among other big bites of shellfish—is currently on the menu at $29.99 for a 30-ounce bowl—likely the best deal in town. But it was Fleming's Prime Steakhouse and an unlikely gumbo chef—James Cole, who was born and raised in California—who swept the competition. 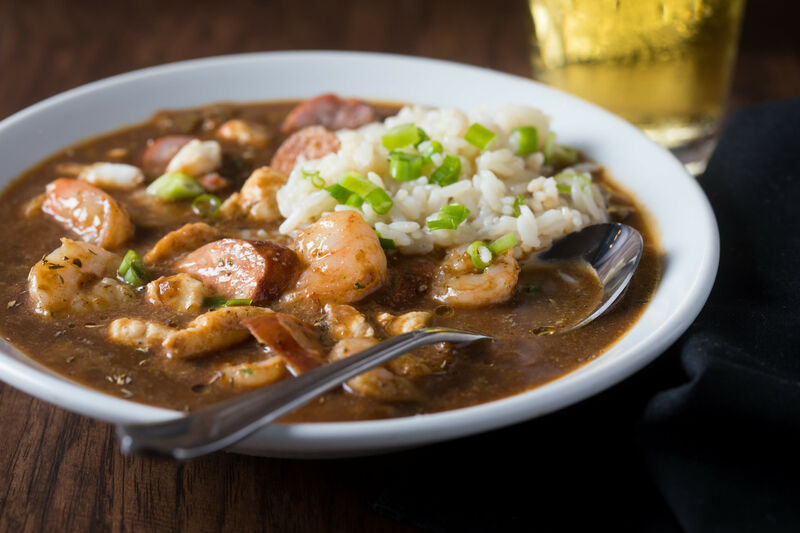 Cole admitted he only learned how to cook gumbo a few years ago, but you'd never have known from the delicate, light roux and the expertly cooked duck, chicken, and andouille sausage throughout. Cole garnished each bowl with freshly fried okra in a crispy cornmeal batter and fatty, crunchy duck cracklings. The meaty gumbo and garnishes won over both the judges and the attendees; Fleming's won the Peoples' Choice award handily. 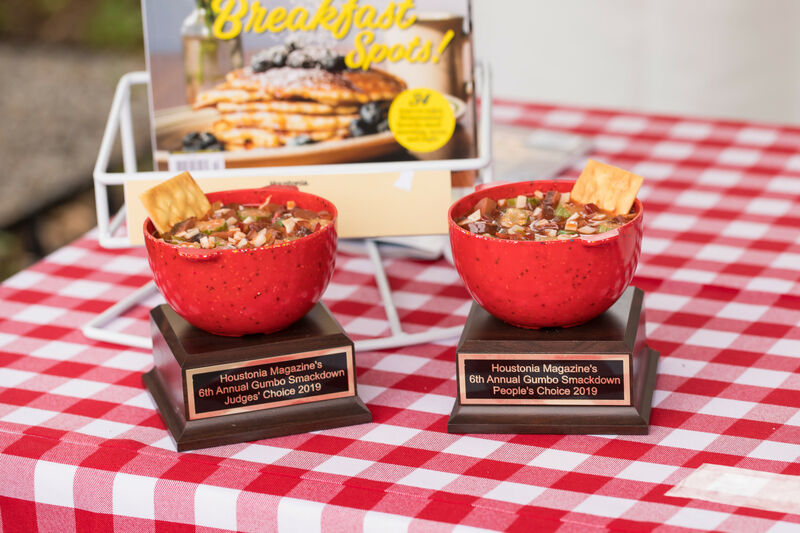 And because the judges couldn't decide between two such excellent renditions of a classic seafood and a classic chicken-and-sausage gumbo, both Fleming's and Haven tied for the Best Gumbo award. Afterward, Cole received hugs and well-deserved pats on the back from all of his fellow chefs. When I caught up with him later, he was beaming. Although he's been the chef at Fleming's for 12 years now, Cole told me with a grin, "I've never won anything before."